We understand that they owners were fans of the famous US TV series and named their golf club Bonanza when it opened for business back in 1996. 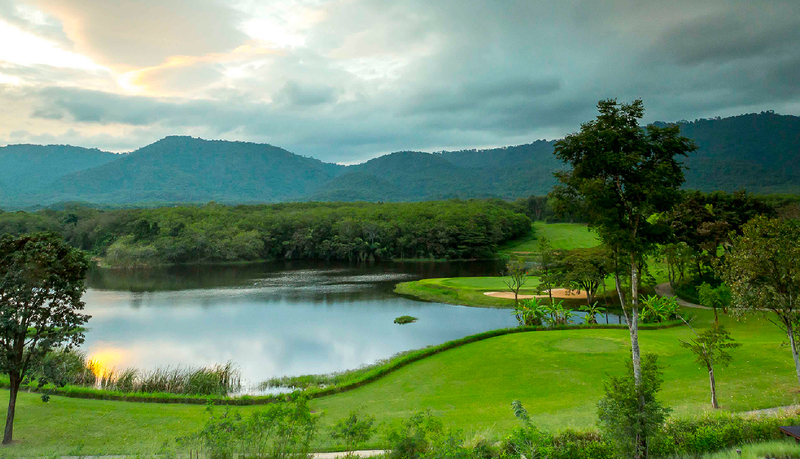 Bonanza Golf & Country Club is actually located in the Khao Yai National Park some 90 minutes north of Bangkok. Designer John Gray has created a par 72 course running at 7,480 yards from the back tees. If you enjoy your elevation changes then this is the course for you as they have changes of approx; 120 ft in places, as their 18 holes run through a natural Khao yak valley. The course slopes generally south to north passing by several big reservoirs at the northern end of the course. However the fairways are fairly generous with hardly any trees and the fewest number of bunkers of any Thai course too. Forest Hills is a beautiful, mature, parkland golf course located in scenic La Crosse, Wisconsin. With play documented as early as 1892, this public facility is nestled within bluffs that were forged centuries ago by three rivers. The course will both amaze you with its beauty and challenge you with its design. Forest Hills underwent a major renovation in 2015 creating 2 completely new golf holes and redesigning 3 existing holes. Burlington Northern Railroad constructed an underpass for golfers to travel under the railroad tracks to get from the clubhouse to the golf course without having to wait for trains to pass. Plans are in place to build a driving range in 2018 with a projected opening date of spring of 2019. Khao Yai Golf Club is situated between 2 valleys in the mountains on a 450 rai land parcel just outside the Khao Yai National Park. There are the stunning views of the surrounding hills from everywhere on the golf course, especially the back nine. This undulating fairways challenge, while the cliffs and rolling hills offer an immensely picturesque backdrop of the Khao Yai region. The natural contouring of the land gives good definition to the gently undulating holes, sometimes accentuated by additional earth mounding, and a light sprinkling of mature trees. Although the original bunkering seems rather modest for a Nicklaus design, some holes do exude a sterner bunker threat. The short par-4 7th is one such hole. The downhill 2nd is as good a par-5 as they come. From a wonderfully elevated tee box, play down onto the fairway, then risk as much water carry as possible to get close to the green in two. 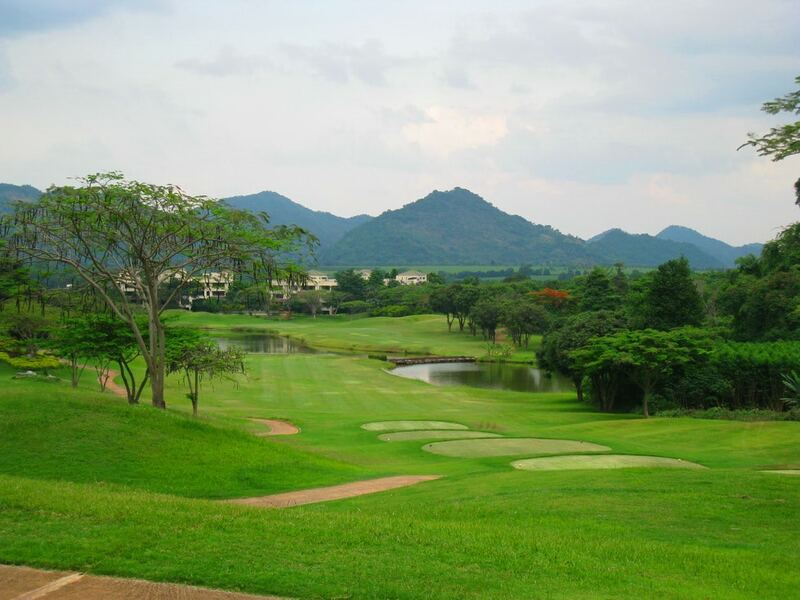 The Kirimaya Golf Club was upgraded in 2005 from what was known before as the Khao Yai Country Club. The golf course is of champion standard and designed by Jack Nicklaus and is over 7,000 yards long. Set in the foothills of the UNESCO World Heritage Site, Khao Yai National Park it is surrounded by spectacular scenery with lust green surroundings. The Kirimaya Golf Course ranges from 4875 yards (women) to 7115 yards (tournament) and with its single-track layout. It also boasts a 5 Star resort on site with a high international standard. Without a doubt one of the best golf courses in Khao Yai! Korat Country Club and Resort is only 15 minutes drive from Korat Town in the north of Thailand some 250 kms from Bangkok. At 7,109 yards, this well maintained 18 holes lies in secluded private land surrounded by mature woodlands. Korat golf club is a pretty inland course surrounded by mature woodlands. From the blue tees, the par fours are challenging, and the layout is a fair test for most handicappers. Approach shots to the rather small greens demand accurate shots. The trees in the background assist the player in judging the distance. The greens offer many pin placements. The Mountain Creek golf course demands a combination of power, accuracy, and concentration. Hazards are strategically positioned throughout the Khao Yai golf course to lure in shots from every angle. Dense jungle frames many of the holes forcing you to keep the ball down the center else face a costly penalty. Holes play to various distances from a short 330 yard par-4 to a monster 550 yard par-5. As a result, expect to use every club in your bag. The course is also quite penal around the greens, many severely undulated. Hit to the wrong side of the hole, and a three-putt is almost guaranteed. Panorama Golf and Country Club was opened in 1993 and designed by Golftect Corporation in Khao Yai. The golf course of Panorama Resort & Golf Club even with a challenging layout is kept good condition tear round. Some of the holes on the course have greens which roll fast while others are much slower. The fairways tend to be in a very good condition with exception being those areas in the shade. Some excellent bunkers and water hazards on the course. There is a particularly tricky shot on par-4 10th, where the player has to tee-off over a valley and across the face of a hill to a blind green that doglegs left. Better hitters will be able to reach the green in one shot, however, if you have not played here before this can be quite intimidating as it looks as if a well-struck tee shot will end up in the jungle above left. Panorama is kept in excellent condition year-round and is an area stand-out in this regards. Greens roll fast and accurate and fairways and tees are well manicured. 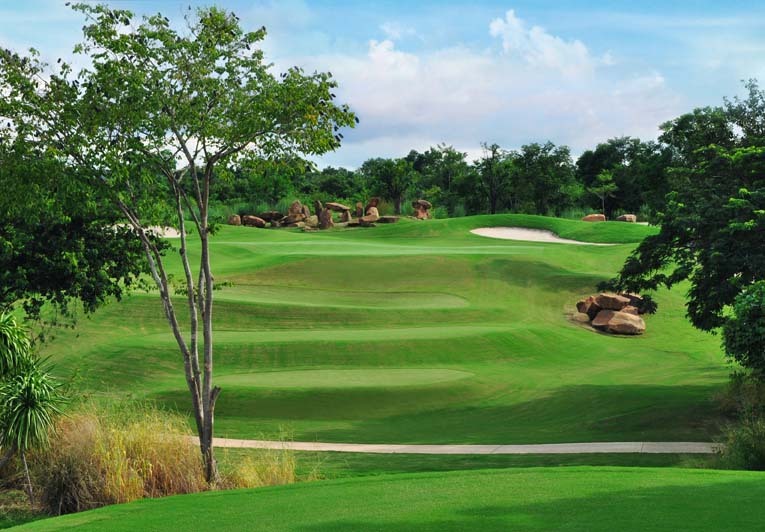 Rancho Charnvee located in Khao Yai (about 2.5 hours north of Bangkok) boasts 18 holes. 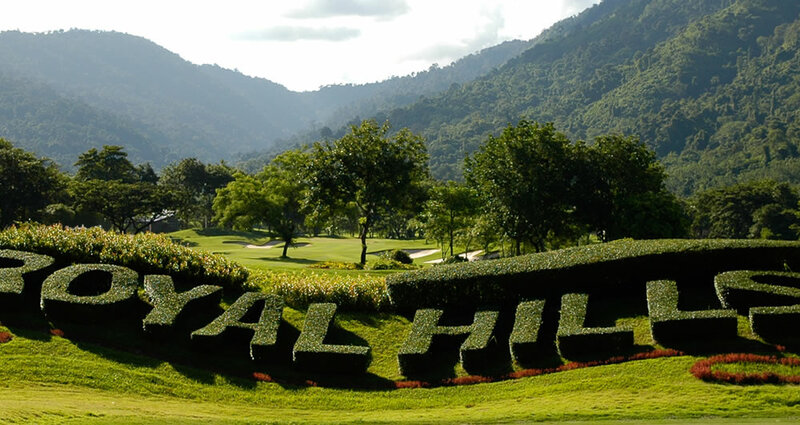 This course was designed by Bob McFarland, who decided to keep the course rather flat, but ensured that you will get enough fun out of it and that pretty much any type of golfer can enjoy this golf course in Khao Yai. If you are a golfer who likes a nice scenery, give this course a try as it’s truly breathtaking, especially with the mountains of Khao Yai National Park in the background. Make sure to use a solid drive for the first hole as you need to hit over a large lake. From thereon, the course goes uphill with a fairway that gets smaller to a small green. Prepare for the 4th hole which is Par 3 as it will certainly challenge you. Unfortunately, this course has no driving range but makes up with first class changing rooms, kiosks and excellent food. Overall, this course provides well maintained conditions and friendly trained personell. 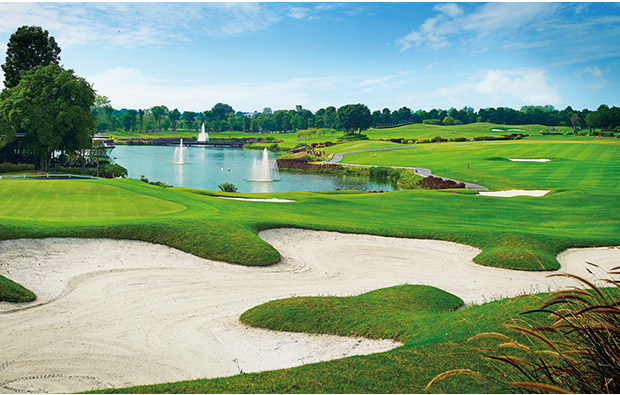 You will be sure to have a great time at Rancho Charnvee – Khao Yai Golf Course. The only Nelson & Wright designed course in Thailand, Royal Hills combines challenge for golfers of the highest abilities along with wide fairways and more relaxed routes to the greens to ensure enjoyable golfing for all. The 7000+ yard layout often is used for professional and amateur events in Thailand. The 18 holes are laid out on hilly land and are arranged with good placement of natural features. Most greens are undulated and are kept in good condition. Peacefully merging with its natural surroundings, Royal Hills fosters an atmosphere of a total golfing experience. Whether you’re looking to cultivate meaningful interaction between senior management and staff, or customers, you can be assured there will always be an atmosphere of camaraderie and excitement that will leave lasting impressions far beyond any other motivational tool. Give us a call or write to us and you can be assured that you are in good hands.